Even if you don’t have kids Sesame Street probably played a big part of your childhood, or the childhood of kids and people you know. 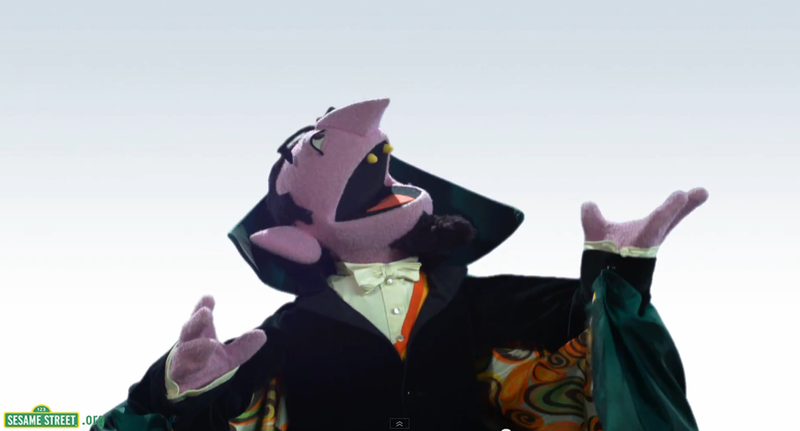 The Count has always been one of my favorites, maybe it was my dad’s spot on impression, maybe it was the secret knowledge that sometime the count has to feed… He is a vampire you know. But I have always loved the way Sesame Workshop as a whole uses technology. At Sesame Place (The Sesame Theme Park) they hand out cards with free episodes of Sesame to download from iTunes, Their website is full of games and educational awesomeness for kids. And they even make great use of Tumblr, Youtube, Twitter and everything else I can find them on. Sesame Street: Counting the “You”s in YouTube – YouTube.